Below is the ever expanding repertoire of songs we draw our sets from currently. You can feel free to consult about your own song requests. Just because a song is not listed does not mean we don't know it, or can't learn it! To see an example of a typical wedding setlist, click here. I cannot even begin to put words out there about how much I absolutely loved every single minute listening to you guys playing at my wedding ! You totally rocked out our marquee ! It meant so much to me to have the most amazing band ever ! People cannot stop talking about you ! Thank you so much !!! ……Marvelous stuff on Saturday guys! Thanks for letting my Dad up to play, and thanks so much for the best night we could have wished for. 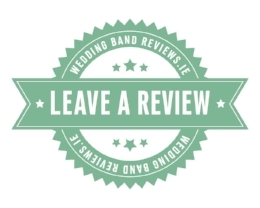 Everyone is still raving about you……..
Tom and I would just like to say a huge thank you for performing at our wedding, you and the band are absolutely amazing and we had so many compliments from our guests who echoed our thoughts. You got the party going and we loved our first dance, and cant believe you also performed handbags and gladrags for us. Your you tube clips are awesome but they do not come close to seeing you live!!! you played a very important part in our special day for us so thank you once again. Wow, just wow! You blew everyone away on Saturday. We couldn’t be happier. Thanks for everything. Hi Guys, Just to say thanks a lot for Saturday night, u were absolutely great! 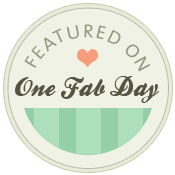 Really, yous were fantastic, and everyone has been raving about u. We had a ball and u created a great party atmosphere. Anyway, brilliant job, we were really happy with it all. Hi Guys I just wanted to say a massive thank you for playing at our wedding you were amazing and everyone loved you!! Thanks again we look forward to seeing you guys play again soon. Hi James, Now that the smoke has cleared after our big day I wanted to leave a short testimonial as The Vinyls were great! I have never seen a band with such an amazing set list with each and every song keeping our guests on the dance floor all night. Your professionalism and guidance made a potentially complicated decision very easy for us. All of the guys are very talented musicians and are clearly passionate about playing. I have and will continue to recommend The Vinyls to any body looking for a talented, professional and exciting band for any occasion. Thanks again, you made our night. Best Regards, see you at the Porterhouse. 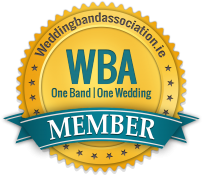 Proud Members of The Wedding Band Association for YOUR peace of mind.